Bypassing the political process, private insurers have begun reimbursing doctors for these “advance care planning” conversations as interest in them rises along with the number of aging Americans. Some states, including Colorado and Oregon, recently began covering the sessions for Medicaid patients. But the impact would depend on how much doctors were paid, the allowed frequency of conversations, whether psychologists or other nonphysicians could conduct them, and whether the conversations must be in person or could include phone calls with long-distance family members. Paying for only one session and completion of advance directives would have limited value, experts said. Let's think this through. First, is such a payment--or set of payments--consistent with what many argue is the overall direction of health care payments, i.e., a capitated or global payment environment, or bundled payments for acute or long-term diseases? By definition, no. Why are we thinking about adding a new fee-for-service billing code if the trend is away from that? Here’s the real lesson. If we view things in this manner, any place in the world can do it. It does not depend on new government policy. It does not depend on a change in payment methodology. It does not depend on accreditation rules and regulations. The power to make these kind of change resides in the people who have been given the privilege and responsibility of running our health care institutions. In short, the necessary condition for this kind of approach to be adopted is the support of executive and governance leaders. That leadership often is based on a remarkably simple set of values, tied to a clear sense of institutional purpose. This breakthrough is not a new drug or test or treatment; it is a new way to organize our care of patients with advance illness so that they can live as well as possible for as long as possible in the way of their own choosing. The “miracle” is that this new care depends more on human interaction and coordination than on technology and science. The wonder is that it costs less to deliver but is actually better. Here's a very clever ad from Don Berwick, who is running for governor in Massachusetts. Even if you are voting for someone else--or live out of state--it's worth a smile! A resident noticed a human factors problem that led to an accidental overdose of morphine to a patient. It wasn't fatal, but it led to some concern, and as he notes could be more problematic in other cases. A good catch for sure by an alert young professional! What the problem? He explains. It is understandable that the nurse gave 20mg of morphine to the patient, since the first number in big blue letters after the word morphine is "20". The actual dose, 10mg, comes after "20MG/ML concentrated oral solution". On a busy shift, while looking up and bringing to the patient 3 or 4 other medications that shift, it would be easy to misread the morphine dose. In fact, several times our team misquoted his dose as 20mg when we discussed the dose with the nurses and the patient. The standard dose is 10-30mg by mouth every 3-4 hours as needed for pain, so a 20mg dose is unlikely to be harmful to an adult patients. However, there are two potentially serious problems that come to mind. First, it certainly could be dangerous for a pediatric patient, since the recommended dose in this population is 0.15 to 0.3 mg/kg. A 20kg child could receive 3.3 times the recommended dose if they were to receive 20mg instead of 6mg, which could lead to respiratory arrest. (I'm not sure if our hospital has a weight-based dosing similar to the system at pediatric hospitals ). The second thing that is concerning is that the FDA mandated changing the labeling of the drug from 20mg/ml to 100mg/5ml, and required that a bold warning be placed on each bottle stating "ONLY FOR USE IN PATIENTS WHO ARE OPIOID TOLERANT", since several deaths have occurred from misunderstandings of the concentration (for example, assuming the dose of 20mg meant 20ml). It is possible that the concentration used by the pharmacy is different from what is labeled on Epic, or that the nurses see a different label than I do, but if not, this could be a setup for a severe overdose. On the "favorites list," 20mg/ml is the only liquid form available on Epic at our hospital. I will double check tomorrow if any other concentrations are available in the full formulary and let you know. The other generic forms, according to UpToDate, are 2mg/ml and 4mg/ml. Most patients use pills instead, but since our patient had problems swallowing pills we had to use the liquid. I checked on the morphine ordering and it turns out they do have the 10mg/5ml dose cups available here. I think this is what the patient received, since he said "she gave me two cups instead of one" after the dosing error. It seems like although we placed the order for concentrated solution, the nurse is allowed to administer the medication in another form if she wishes. resident ordered. To get the 10mg/5ml form you have to go to the full formulary list. The favorites list changes depending on where in the hospital the patient is (for example, only the morphine PCA and injections come up on the favorites list when the patient is in the pre-op area, whereas the 20mg/ml concentrated oral solution, tablets and injections appear on the list when they are on the floor). Recent studies have found that rapid implementation of new medical technology — electronic health records, patient monitoring devices, surgical robots and other tools — can lead to adverse patient events when it is not thoughtfully integrated into workflow. The right processes require understanding the devices and the users. Testing in controlled environments often does not adequately consider the “human factor,” or how people interact with technology in high-pressure, real-life situations. From 2011 to 2013, human-factor issues were the most frequently identified root causes of “never-events,” such as medication errors and treatment delays, according to a Joint Commission report. “It’s the interface of the human with the technology that creates a problem,” said Ana Pujols-McKee, M.D., the commission’s chief medical officer. “We have a cascade of gadgets and equipment that’s just raining down on the health care system.” Productivity demands are forcing physicians, nurses and other clinical staff to work faster, and when that directive is coupled with new devices and equipment, “even the most competent people in the world can’t do that safely." In a private conversation, a colleague who had been involved in the National Transportation Safety Board was shown the article and was asked, "How does aviation handle new stuff in the cockpit?" All of the aircraft manufacturers have human factors teams who participate in the implementation of new technologies. Once developed it's fight simulators and training, training, training. This article was fascinating to me. It appears that the medical community is about 2 decades behind aviation. What a relief. Two decades. 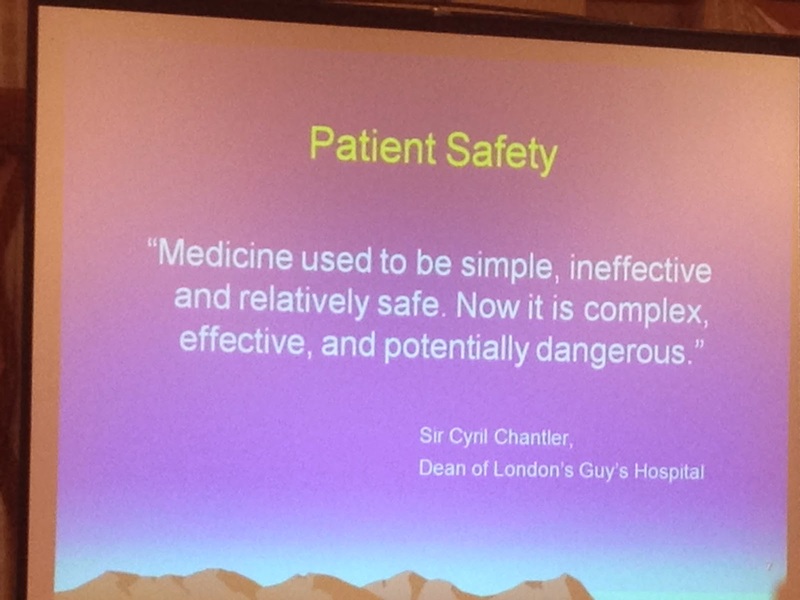 I had thought medicine might be stuck in the Twentieth Century. Oh, wait. Two decades ago is the Twentieth Century. The Service Employees International Union-Healthcare Workers West is stepping up its campaign to block the sale of Daughters of Charity Health System to Prime Healthcare Services, which is accusing the union of racketeering and extortion. The media campaign comes one day after Prime Healthcare Services filed a lawsuit in U.S. District Court in San Francisco against the California-based union. Prime contends that the SEIU's efforts represent a smear campaign to force it into unionizing its workforce. The SEIU is supporting a competing bid from Blue Wolf Capital Partners, a private equity firm. It's an interesting world when private equity firms are viewed favorably by unions. I wonder what kind of promises Blue Wolf has made to the SEIU to get the union's support. Laura Beil makes a mistake common to journalists eager to write an eye-catching story: She chooses the facts that fit her narrative and ignores those that don't. We pride ourselves on the accuracy of our reporting at Men's Health, so we took Intuitive's request for corrections very seriously. After an internal investigation—with the cooperation of Laura Beil and our research team, led by Jaclyn Colletti—we stand behind the article in it's entirety, as published. Read for yourself and see who's most persuasive. 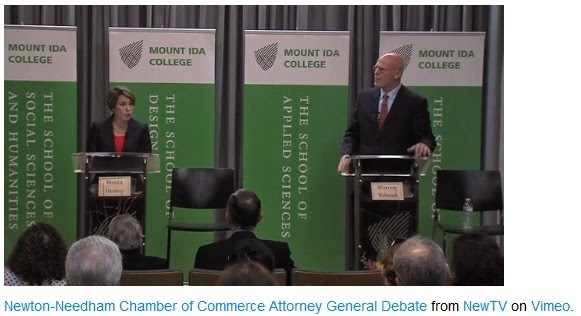 The two Democratic candidates for Attorney General agree on one thing, that the current Attorney General's proposed deal with Partners Healthcare System will not achieve controls over rising healthcare costs from the dominant market player. Here is the Youtube of a recent debate. Start at 34:04 and listen through 36:09. Or read the transcript here at Commonhealth. In the 69-page lawsuit filed Monday in U.S. District Court in San Francisco, Prime accuses the SEIU chapter of violating the federal Racketeer Influenced and Corrupt Organizations Act, which Congress enacted to help the government prosecute organized crime. "The allegations in Prime Healthcare’s lawsuit against SEIU and related groups and individuals simply do not hold up to scrutiny," said Steve Trossman, director of public affairs at SEIU-UHW, in a statement. "Many of them were contained in a previous lawsuit against SEIU that was dismissed multiple times by a federal judge. SEIU will seek a fast dismissal of this complaint as well." When will health care systems come to realize that by the time you choose to fight a corporate campaign in the courts, much of the damage is done? Plus your chance of winning in court is based on a roll of the dice. A more proactive, real-time approach is what's needed when a union seeks to denigrate a health system's reputation among key constituencies, with the goal of persuading management to agree to undemocratic concessions in the organizing process. 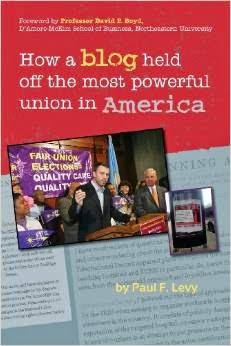 I've documented such an approach in my book, How a Blog Held Off the Most Powerful Union in America. In the foreword to the book, Professor David P. Boyd, D'Amore-McKim School of Business, Northeastern University notes, "This is a powerful lesson in winning a battle of perception with the modern tools of transparency and internet speed." And Dr. Harris Berman noted how "persistent and effective use of social media evened the playing field . . . keeping diverse audiences informed and engaged." You can read more about this on one of my other blogs, Exposing the Playbook. One this day in 1918, two sailors housed at Boston's Commonwealth Pier reported to sickbay. The men were the first Americans stricken with a strain of influenza that would prove far more dangerous than the German army. By the end of the week, 100 new cases a day were being reported among the sailors at the pier. The disease spread with terrifying speed through both the military and civilian populations. In the next 24 weeks, the epidemic would affect more than 25,000,000 Americans. More than 675,000 would not survive the illness. The flu would take far more lives than the war then raging in Europe. Worldwide, between 50,000,000and 100,000,000 people would die before the epidemic abated in December. Is it all right to inform patients about unclear evidence? What happens when patients are informed about the evidence, especially when the evidence is not totally conclusive? Golly, perhaps it seems silly to ask, but let's give credit to Matthew Maurice and Robert Abouassaly for doing so in a rigorous way. A current article in Urology 84 (2), 2014, is entitled "Patient Opinions on Prostate Screening are Swayed by the United States Preventative Task Force Recommendations." The answer, simply, is that patients think about the evidence and draw their own conclusions. Perhaps just like doctors do. 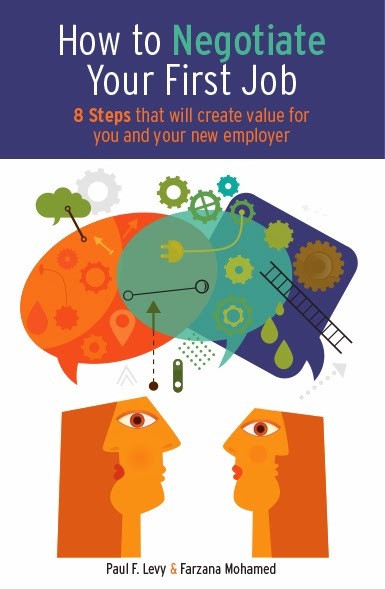 My take: Working in partnership and sharing information, they'll both make better decisions. To survey patient opinions on prostate cancer (PCa) screening in light of the United States Preventive Services Task Force recommendation against its use. We conducted a survey of all-comers to urology and primary care clinics. Participants provided demographic information and responded to a 5-item questionnaire regarding their opinions on screening before and after reading opposing position statements. The overall response rate was 48%. After excluding incomplete questionnaires, 54 surveys were available for analysis. 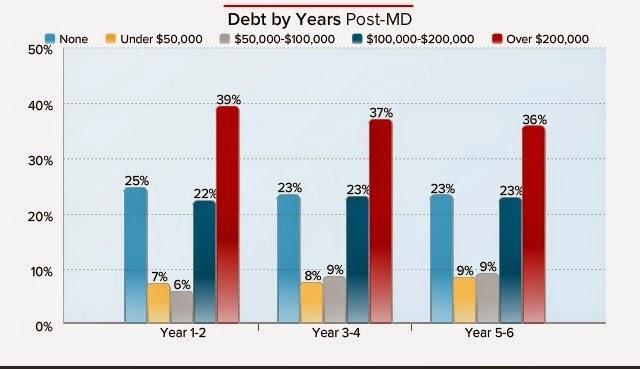 Patients were predominantly white, middle-aged and older, college-educated men with middle-to-upper-middle-class incomes who were seen at urology clinics. Patients rated their “pre” level of understanding of screening recommendations as good or very good (52%), okay (30%), and poor (19%). After reading the information sheets, good or very good understanding of screening recommendations improved (65%; P = .05), and agreement with the importance of screening remained high (80%). However, nearly 20% of patients expressed a more neutral or less favorable attitude toward the risk-benefit ratio of screening (P = .09). Agreement that men should undergo screening, that screening helps detect cancer, and that screening saves lives remained high, regardless of the exposure. Overall, patients favor PCa screening, but heightened awareness of the current controversy raises concerns about its potential harms. PCa screening is a complex issue, and insight into changing public opinion will be crucial to our future discussions with patients who are wrestling with the decision whether to undergo screening. With two weeks to go to the primaries, how could it be that all major media outlets in Massachusetts have failed to asked the Attorney General candidates their opinions on the efficacy and enforceability of the proposed AG-Partners Healthcare System deal? After all, one of them will have to live with it if it is approved by the Court. This is the major antitrust and health care issue facing the Commonwealth. Let's get them on record before we vote. Should AG Martha Coakley withdraw the agreement and let her successor decide on the right path to take? What do you think? Was a question at today's Globe #opdebates. Both candidates said they're skeptical deal controls costs. I frankly expected better from HealthLeaders Media, which usually has well researched and thoughtful stories. This one, though, reads like a press release from the investment bankers and law firms that make a bundle from proton beam projects. As more American patients have become aware of the less invasive technology, they are emerging as a key driver of proton beam center growth in the United States, Caron says. A partner at Chicago-based law firm McDermott, Will and Emery, who has worked on proton beam therapy center projects for more than eight years. [C]onsumer demand for the treatment has created a marketing opportunity for the top cancer centers in the country. "If you're in the radiation oncology business, you want the latest and greatest tool." But Cigna, which also works with Bluffton, SC-based CareCore National LLC to manage proton beam therapy coverage, reimburses the therapy for only three conditions, citing a lack of clinical evidence showing the treatment is superior to more conventional radiation therapy for most cancers. "While PBT has been used in patients in the United States since the mid-1950s, and although it has been shown to be effective in some malignancies, there is no published data clearly demonstrating superiority over conventional forms of radiation therapy," state the Bloomfield, CT-based carrier's guidelines for radiation therapy. Brad Flansbaum writes the story of a very productive hospitalist. The physician profiled has 3000 discharges. Just counting Medicare patients. Most hospitalists I know run a daily census of 8 to 15 patients. If this fellow is working at a very high level of 25 (and recall, that would imply no commercial or Medicaid patients) with an average length of stay of five days, that would imply 5 discharges per day. At that rate, if you worked 365 days per year, you still would not reach even 2000 discharges. So the 3000 number doesn't add up. In preparing the post, I reached out to him by email and spoke to his practice administrator. Regrettably, he did not want to comment on the data. I aspired to learn if he leveraged NP and PAs or other unique resources to assist his group. By the way, does CMS do any analysis of this kind of outlier performance? I'm reminded of the joke about the lawyer who arrives in heaven and is greeted with a spectacular welcoming party. "What's up?" he asks. "Do you do this for everybody?" "No," he's told, "but it isn't often we get someone who's lived to be 150." "But I died at age 85," he says. "Oh, there must be some mistake," they replied. "We calculated your age by looking at your hourly billing records." The US and Canada differ on many aspects of health care delivery, but one area in which they have a common approach is inadequate care for mental health. I was reminded of this when I met with a colleague who works at the British Columbia Division of the Canadian Mental Health Association. She related several stories about slow and inappropriate treatment of patients--both in crisis and in chronic states--in the provincial health system. Meanwhile, Modern Healthcare reported that south of the border a court ruled that, "hospitals in Washington state will be prohibited from boarding psychiatric patients in emergency departments while they wait for inpatient beds to open up." 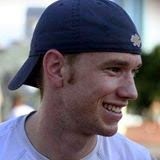 Williams's death hit too close to home to many and it opened up a conversation that many people are afraid to have. Williams graced us with his humour and his talent, and seemed to have it all. Yet he didn't. He missed something incredibly important - good mental health. It reminds us that we are all vulnerable. Virtually every family in these two countries has had or will have a member with mental illness. I'd love to see some politicians who bravely break through the stereotypes and force political action that raises diseases of the brain to the level of diseases of the kidney, lungs, and liver. The femtosecond laser: Paying for the attendant in the washroom? Cataract surgeries performed over one year eventually save $123.4 billion over 13 years and delivers a 4,567 percent financial return on investment to society according to the results of a cost-utility study. The majority of the $123.4 billion savings are in patient cost savings and Medicare savings, which accounted for 39.4 percent 29.5 percent, respectively. Other gains included employment/productivity (20.6 percent), Medicaid (2.7 percent) and other insurers (7.8 percent). For each cataract surgery on a single eye, which costs an average of $2,653, the savings will amount to $121,198. The overall cataract surgery cost in 2012 was 34.4 percent less expensive than in 2000 and 85 percent less expensive than in 1985 after adjusting for inflation. Furthermore, the inflation-adjusted physician fee in 2012 was only 10.1 percent of what it had been in 1985. Now, the trend may change. Recent developments indicate a possible shift towards a high-cost procedure that is being marketed by ophthalmologists as a way to improve their income. The impetus is a new medical device that, on its face, would be too expensive given the relative improvement in efficacy that it offers. A loophole in the Medicare billing system makes it possible. Cooperation by the manufacturers and doctors in direct-to-consumer marketing is the key, persuading unsophisticated patients that the extra money they pay is worth it. 1. The primary incision allows the surgeon to create a uniform and consistent three-plane incision with a self-sealing reverse side cut, which has the potential to reduce the incidence of endophthalmitis. 2. Incisions are more accurate, safer and reproducible. 3. Capsulotomies are more precise. 4. The procedure is safer. Can the laser do anything that a well-qualified surgeon can't already do? Steven G. Safran, M.D., Lawrenceville, N.J., and Brad Oren, M.D., Lake Worth, Fla., don't seem to think so. "There is nothing that this technology can do for me that I need help with," said Dr. Safran. "I can make a perfect capsulorhexis 100% of the time with a bent needle and capsulorhexis forceps and in my opinion, it takes less time than it would if a femto laser was added to the mix." "In my hands, this machine doesn't benefit the patient at all," said Dr. Oren. "I haven't had a wayward capsulorhexis since I was a resident. Any good surgeon hasn't." Dr. Safran likens the assistance the femtosecond laser gives cataract surgeons to bathroom attendants in high-dollar nightclubs and restaurants: Thanks, but I can grab the towel and soap myself. It seems like one of the best reasons now to get a laser is to ‘keep up with the Joneses’ rather than for any outcome or safety issue,” said Thomas A. Oetting, MD, associate professor of clinical ophthalmology at the University of Iowa. “The literature on vastly improved safety and visual outcomes is limited, with traditional cataract surgery being so successful and laser-assisted surgery still being relatively new in terms of mainstream use,” says J. Christopher Freeman, OD, clinical director at nJoy Vision in Oklahoma City and president of the Optometric Council on Refractive Technology. Some articles supportive of the technology are written by doctors with a financial connection to the equipment manufacturer. The machine alone costs about a half-million dollars. Then there’s a usage fee that comes in between $150 and $400 per eye, and maintenance costs of between $25,000 and $50,000 per year after the initial warranty has expired. There are other kinds of payment plans. You can lease the laser, lease to buy, or buy it, and some [femtosecond] companies give away the laser for a nominal sum and then charge a higher click fee. If you’re leasing the equipment and just paying per click, the fee could be $650 to $750 per treatment. The space the laser takes up; the cost of OR time; staffing costs not just in the OR, but also for the receptionists, preop nurses, recovery room nurses, and ancillary staff, all of whom will be at the surgery center longer because of increased surgical time; the cost of doctor’s time; and the opportunity costs. The ethical dilemma arises because we now have new technology that can assist with intra-operative imaging in ideal lens placement for "premium" or "presbyoptic" lenses or lenses that correct astigmatism, "toric lenses." Medicare, again, will not reimburse for these items. They are an out-of-pocket cost to the patient. 2. Performing the anterior capsuolotmy or "capuslorhexis"
3. Performing the initial portion of breaking up the nuclear part of the cataract. Surgeons would like to bill for this separately I'm sure; however Medicare does not allow it. Again, no matter how you remove the lens, it is the same reimbursement. So, how they have gotten away with it is that CMS has already ruled that physicians can charge the patient an out-of-pocket fee to implant the premium IOL and toric IOL.With the advent of the femtosecond laser, recently CMS has also ruled that physicians may bundle in an extra fee for using the femtosecond laser for "imaging" purposes to implant these premium and toric lenses. Most physicians will then still use the laser for the above parts of the surgery described (#1-3) but technically they are billing for the imaging part of the procedure used to implant the lens. The Cleveland Eye Clinic is the third practice in the nation to offer their patients the Catalys laser refractive cataract surgery system. Laser refractive cataract surgery offers the patient a greater level of precision and a greater level of customization. Patients can benefit from a truly innovative solution that allows for customization in cataract surgery that was never attainable before. When you choose to have your surgery performed with this Catalys, OptiMedica laser, you’ll enjoy a truly innovative solution that allows for customization in cataract surgery. A bladeless, computer-controlled laser allows the surgeon to plan and perform your surgery to exact individualized specifications, not attainable with past cataract surgery methods. With the Catalys, OptiMedica laser, you can move forward with confidence knowing that you’ve chosen the most advanced technology available for this life-changing procedure, one that enables a customized cataract surgery experience. If you are seeking a Cleveland cataract surgeon consider choosing the most advanced cataract surgery technology available right here. The marketing people have been clever: Note the use of the term "bladeless." This preys on our inherent fear of being cut in the eye. A laser is just as "sharp" as a blade, but it sounds so much more benign. Seems a bit shady to me. I have heard adds on the radio that say, "If you aren't getting laser cataract surgery you aren't getting the best!" So what does this mean for the medicare patient convinced by their unethical ophthalmologist to have a premium IOL or toric lens implanted? Well, they not only will be charged for that premium lens (many times around $800-1000 extra depending on the surgeon) but also they will be charged an "imaging fee" for use of the femotosecond laser. This imaging fee can essentially be whatever the surgeon wants it to be. The various device companies charge you for the laser and a "per-click" use as well. Some places around here charge an additional $1000 for use of the laser. So now the patient is paying $2000 per eye extra for their "premium" cataract surgery. We've seen this kind of direct-to-consumer marketing before, e.g., with robotic surgery. Here, as with proton beam machines, the commercial viability of the equipment is made possible by an explicit Medicare pricing policy. If the bladeless, computer controlled laser cataract surgery includes implantation of a PC-IOL or AC-IOL, only charges for those non-covered services specified above may be charged to the beneficiary. These charges could possibly include charges for additional services, such as imaging, necessary to implant a PC-IOL or an AC-IOL, but that are not performed when a conventional IOL is implanted. Performance of such additional services by a physician on a limited and non-routine basis in conventional IOL cataract surgery would not disqualify such services as non-covered services. In the second and third sentences, CMS created a loophole a truck could drive through. I don't have the resources to investigate how this occurred. Perhaps reporters with interest and wherewithal will do so. I find it extremely odd that CMS put out this advisory in response to a single press release issued by someone's ophthalmology practice (perhaps this one? ), one that honestly attempts to portray the costs consumers might pay. Since when does the biggest agency in the federal government respond to a press release in that way? If I had to guess, I would surmise that medical industry representatives and the trade association of ophthalmologists noticed the ad, didn't like its implications, and made sure the agency did something about it. What's the end result of all this? The decades-long trend of lower cost cataract surgery is about to reverse. Consumers will pay the difference. For some, it is worth it. Others are paying for the attendant in the washroom. Whether it is getting back into Iraq or newly into Syria, the question that Obama keeps coming back to is: Do I have the partners — local and/or international — to make any improvements we engineer self-sustaining? My reaction? I am pleased that the President learned this lesson but am shocked that he needed to learn it and that it took him so long. I guess this just proves that ignorance about international cultural and political issues was handed down from the previous Republican Administration to the current Democratic one. While President Obama has long resisted being drawn into Syria’s bloody civil war, officials said recent advances by the Islamic State in Iraq and Syria had made clear that it represents a threat to the interests of the United States and its allies. The beheading of James Foley, the American journalist, has contributed to what officials called a “new context” for a challenge that has long divided the president’s team. “If you come after Americans, we’re going to come after you, wherever you are,” Benjamin J. Rhodes, the president’s deputy national security adviser, told reporters in Martha’s Vineyard, where Mr. Obama is on a much-interrupted vacation. The number of dead in Syria’s civil war more than doubled in the past year to at least 191,000, the United Nations human rights office said Friday. The agency’s chief, Navi Pillay, bluntly criticized Western nations, saying their inaction in the face of the slaughter had “empowered and emboldened” the killers. I don't claim to know the right answers to all these very difficult issues, and I don't expect our leader to be correct in the face of complex, changing circumstances. But I'd feel a lot better if the narrative we received from our government indicated that they had a rigorous approach to decision making and a coherent strategy and purpose. As a side note, how low class is this? The president has long expressed skepticism that more assertive action by the United States, including arming Syrian rebels as urged in 2011 by Hillary Rodham Clinton, then the secretary of state, would change the course of the civil war there. What kind of former Secretary of State would let it be known that she disagreed with her sitting President while he is still in office? When you have served in that kind of confidential advisory position, it is totally inappropriate to let the world know that you were second-guessing the president's decisions or advising against his course of action. Within hours, Mrs. Clinton and the aides had convinced Mr. Obama that the United States had to act, and the president ordered up military plans, which Adm. Mike Mullen, chairman of the Joint Chiefs of Staff, hand-delivered to the White House the next day. Again, when you are Secretary of State, your duty of loyalty is to the President. It is just not right to give the world a sense of your influential powers in the White House. These kinds of inside stories should be saved for memoirs long after the President's term is over. Unfortunately, the Clinton's do not understand this kind of loyalty. We are fortunate in Massachusetts to have two excellent Democratic candidates for Attorney General. With just 30 days to go until the primary election, you'd have thought the local press would have asked them for their opinions of the proposed deal inked by the current AG and Partners Healthcare System. After all, it is the biggest antitrust and health care matter currently pending in the state, and the one with the biggest financial impact on businesses and consumers. Wouldn't it be good to know if the candidates support the deal as written and also feel comfortable in their potential role of enforcer of the agreement over the coming years? Well, finally the questions were asked, at a forum held by the Newton-Needham Chamber of Commerce. The answers were captured on tape, which can be viewed here. I have some misgivings about the agreement. I have some concerns about it, frankly. First, when I look at price controls and you have a disparity in prices in year one and you lock into [that] ... the disparity in prices will grow over time. And that increases the power of the have's over the have-not's. So that's one area that is of concern to me. Secondly, I believe we need to promote transparency in health care, above all other things. Consumers ought to know [about pricing differentials] as they make their health care decisions. The disparity in prices is not reflected in a disparity of quality. Fourth, [on enforcement] a real challenge and commitment of resources. Some of the provisions are going to be very difficult and awkward at best. This is a really important issue. The agreement is now before the Court and the public has been invited to submit comments, which I think is really good because I think it's really important that this decision be made thoughtfully and carefully. The next Attorney General is going to have a critical role to play in terms of monitoring and taking action in the health care space. I have some concerns about this agreement. There's a lot of frustration out there given what we all are frustrated about, which is the high cost of care in this state; but I know that what this agreement tries to do is to put some time limits on it and some caps, put some price limits on things; and it's going to require really vigilant, aggressive monitoring by the next Attorney General, and I would make sure that happens. I agree with Warren's point that we need transparency. I am committed to making sure that we are there to provide facts and transparency. This is going to require vigilance and aggressive monitoring by the next Attorney General. So, there you have it . . . so far. This was not a very extensive discussion, but it was a start. Tolman seems to understand the structural flaws in the agreement. Healey didn't elaborate on her concerns. Both understand the complexity of enforcing the agreement. We have yet to hear from the Republican candidate, John Miller, but perhaps these initial comments from the Democrats will provoke some interest by area reporters to ask more questions of all the candidates. I wonder if any of the candidates will publicly ask the current Attorney General to pull the proposed settlement from consideration by the Court and defer the entire matter to her successor. After all, it would be only fair to let the next Attorney General help frame the enforcement requirements of the agreement, rather than inheriting terms set by his or her predecessor. Interesting. Lindsay is about to have a C-section this morning, and we will welcome John Douglas into the world. The nurse handed Lindsay informed consent for C-section, anesthesia, blood transfusion, circumcision, and HBV vaccine with no explanation. Like signing the agreement you have to sign when updating your OSX or windows software. They all say "Your physician has explained ..." No one has explained anything. Trust is alive and well in the real world. This is "informed consent?" Hmmmmm! Gee, I thought the purpose of informed consent was to be informed. I also thought it was illegal for nurses to administer them, or, if not illegal, certainly inappropriate. 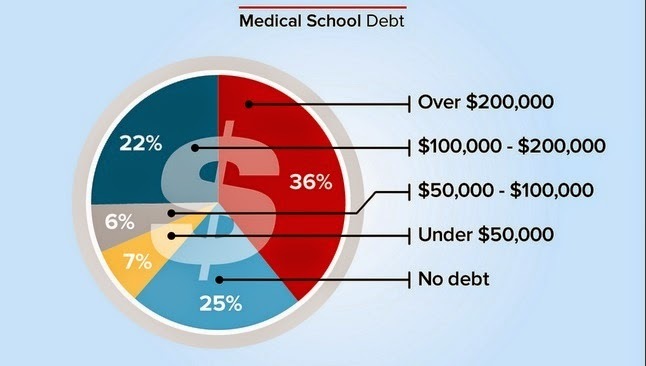 Perhaps, as we consider the high cost of health care in America, we should factor in the need for doctors to recover their education costs, something not necessary in many countries of the world, where there is little or no tuition charged to medical students. 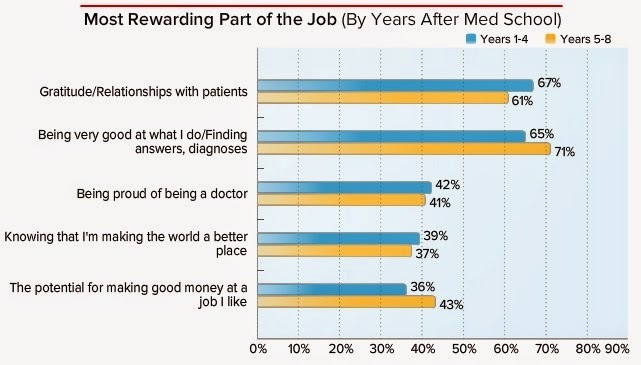 When asked about relationships with nurses and physician assistants, there was very little difference in the opinions of male and female residents, with 62% of women and 66% of men saying that their relationships were very good to excellent. The most common complaint among write-in comments from residents with poorer relationships was the lack of respect paid to them by nurses. A small study of pairs of residents and nurses found a lack of shared perception and expectations. Here's where many residents live in a dreamworld. Their perception of the positive relationship with nurses is, in my experience, off-base. There is extremely little communication at all--measured in minutes per day, and then often in machine gun format: "Do this." When I've talked to nurses, they often say that the residents don't respect their abilities and greater knowledge of the patient's status. Many residents display a lack of trust in nurses, and this does not go unnoticed by the nurses. So we start with highly motivated and idealistic young people and beat it out of them! 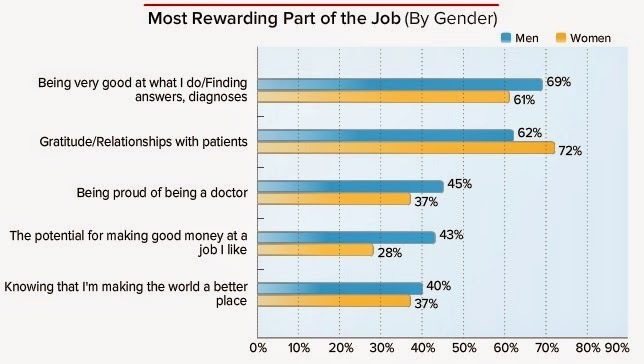 Female residents tend to cite more idealistic rewards of their job than male residents do, with 72% of women selecting patient relationships compared with 62% of men. And only 28% viewed money as rewarding compared with 43% of men. Remind me to request a female resident next time I am in the hospital! This is similar to the Lake Wobegon effect. Once you've matched, you really want to believe that you've made the right choice. We know, from hundreds of residents who attend the Telluride summer patient safety camps, that most trainees get virtually no training in quality and safety, in obtaining truly informed consents, in disclosure and apology for medical error, and in reporting adverse events and near misses. 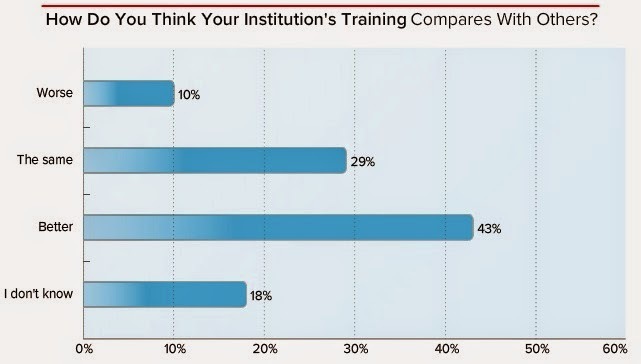 In that regard, virtually all training programs are substandard and don't meet the requirements the ACGME says are expected. The eighth anniversary of this blog slipped by on August 2. That's 4038 posts, including this one, drawing several million page views. From time to time, I've thought about stopping, but then a whole new set of topics emerge, and I say, "Not just yet!" Thank you all, especially the regulars, for reading. My purpose is to serve as an advocate for patient-driven care, eliminating preventable harm, fostering transparency of clinical outcomes, and encouraging front-line driven process improvement. When I take on people who act in ways counter to those goals, I do so in the hope of stimulating discussion and, yes, putting some pressure on those people, but not with ad hominem attacks. In contrast, when I praise people who are acting in accordance with those goals, I mean it to be very, very personal--thanking them for their leadership and, sometimes, courage. I have had some really negative realizations of myself during these past few days. I hate to admit this, but during a lot of the talks and the videos, I saw things that I had done, and I have seen my colleagues do time and time again. It is almost a daily occurrence that I hear people labeling patients as “high maintenance” if they ask questions about their healthcare or if they “challenge” our decisions and our actions. I have replayed imagery in my mind about how many times I have rushed through explaining informed consents, or felt hurried to get histories and physicals because I have 48392 other things to do (seemingly). Or, how many times I have interrupted and not listened. I have thought about times when I have anchored, or had premature closure of patients I was taking care of—and it wasn’t until they were not getting better or something was going wrong that I ever stopped and thought that, hmm I could be wrong or that I was missing something. The talks at the conference have made me realize that I should be doing this every day–stopping, taking time to think–and say, is this what’s going on? what would be the worst thing that I could miss? should I go back and get more history? does this make sense? Moreover, I thought about times when something actually did go wrong–when patients on my team have gone to the ICU or have died. I tried to replay in my mind, and again, I saw myself saying “oh, they were very sick”–almost trying to justify it to make myself feel better. Being here these past few days is going to make me view this completely differently. I am going to take the time to think about what happened when things went wrong. Was it preventable? Was there something else we could have done? Why did this happen in the first place? What were the series of events that led up to this? Did I call the family? And more importantly, was my conversation meaningful with the family? Did I address their needs and reassure them? Was I there for them like I would want someone to be there for my family member? There are a lot of other lessons I have learned. All I really know is that I am walking out of here a better person than when I came in. This conference has inspired me to take a deeper look into who I am—what kind of physician I want to be—and what kind of person and role model I want to be to my peers, my patients, and really everyone in my life. I am inspired to try and break the mold of the culture we have grown so accustomed to—the culture where everything seems to be about me–and remind both myself and others that is not why we are here. Richard Asinof at Convergence RI challenges people in the state to map a future of sustainable health care. Will anyone step up to the challenge? The fictional store was said to be founded by Mr. Harold Hooper in 1951 as a general store. The food menu was extensive and suited to the different characters that lived on Sesame Street, a fictional Manhattan street. Along with traditional American diner-type food, the store sold a wide range of goods from dry goods to soap dishes and stranger goods such as empty cigar boxes (in Christmas Eve on Sesame Street) and birdseed milkshakes for Big Bird. The house was built in 1823 by local businesswoman Abigail Hooper, who ran a thriving general store and millinery shop on the premises. That same year, Abigail married Captain Richard Trask, one of Manchester’s most prominent merchant ship captains, who had lucrative trade relationships with England and Russia. The set designer decided Sesame Street should also have an old-fashioned general store like Hooper's, and the rest is history. 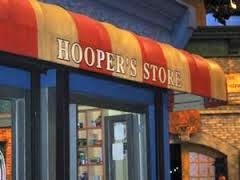 So the idea of stocking empty cigar boxes in Sesame Street's Hooper's Store is not so improbable after all! The health care world is full of companies that make outrageous unsupported assertions as they pursue profitability. Generally, the media accept what is said and don't ask hard questions. Even though there is significant cost to us in analyzing these case studies and posting these questions, and significant value to the perpetrators in being able to identify and correct their mistakes and not mislead their prospects and customers (and hence avoid the possibility of embarrassment or even a lawsuit down the road), we do not charge for this service – the perpetrators may respond gratis during that week. After one week, they may still respond, but there is a charge. Uniquely, we also offered these organizations $1000, payable to them or their favorite charity, to answer these questions honestly. This is probably the first time in history that anyone has offered bribes to people to simply tell the truth. Several companies are already included. Only one has chosen to respond thus far. Readers can also submit nominations.